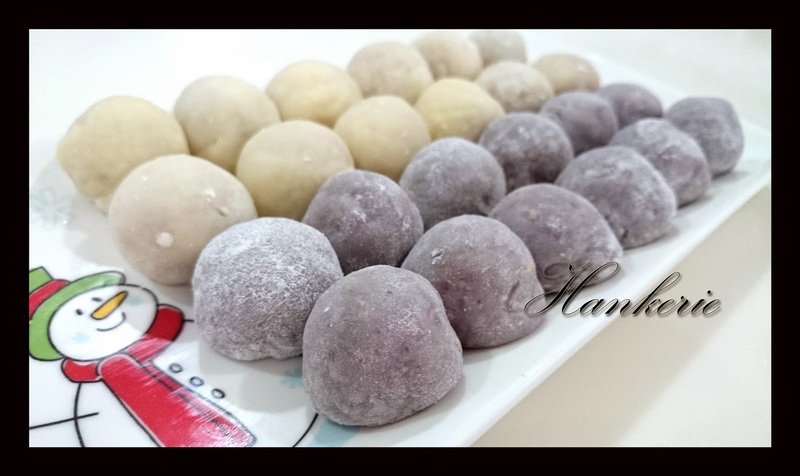 These are my dry version of milky way and Purple tang yuan. Simply cook them in hot water, scope out and serve with crushed peanut and sugar. Delicious! I named it as Milky way tang yuan, this is because I include milk in the rice ball. 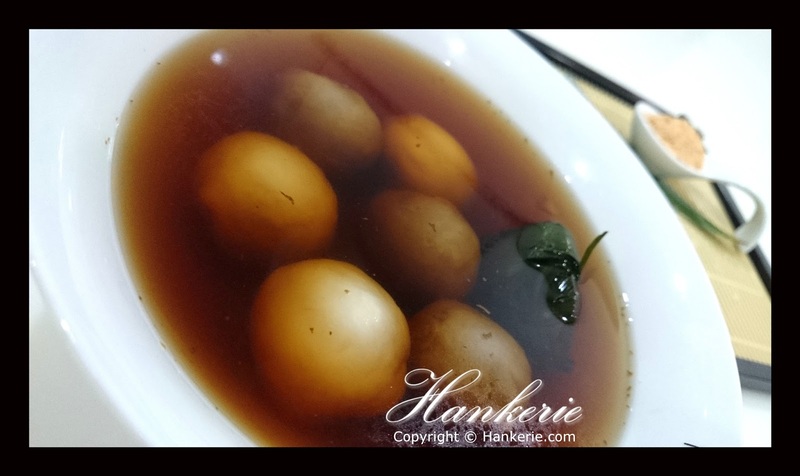 They are slightly smoother and softer than conventional or traditional tang yuan. They can be kept or refrigerated up to several days. I combined them with peanut filling, a little bit sweet and saltiness. 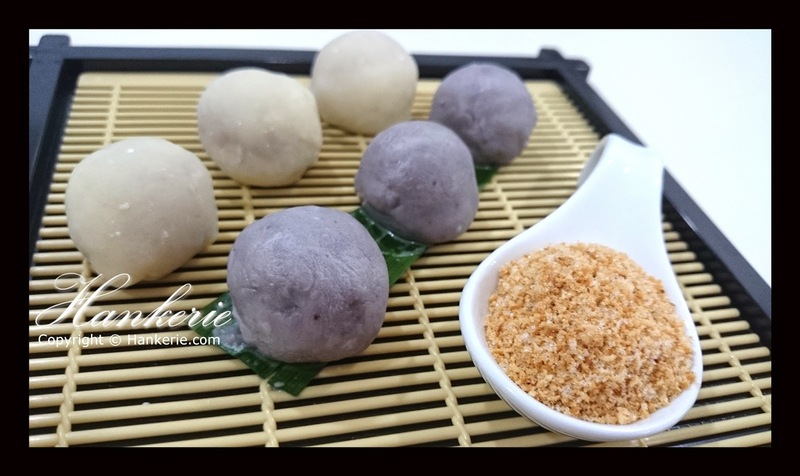 From the beginning, I feel like this tang yuan is made from Purple potato. In fact, I'm using the natural colour combination of my homegrown blue pea flours and fresh raspberries in making these rice balls. 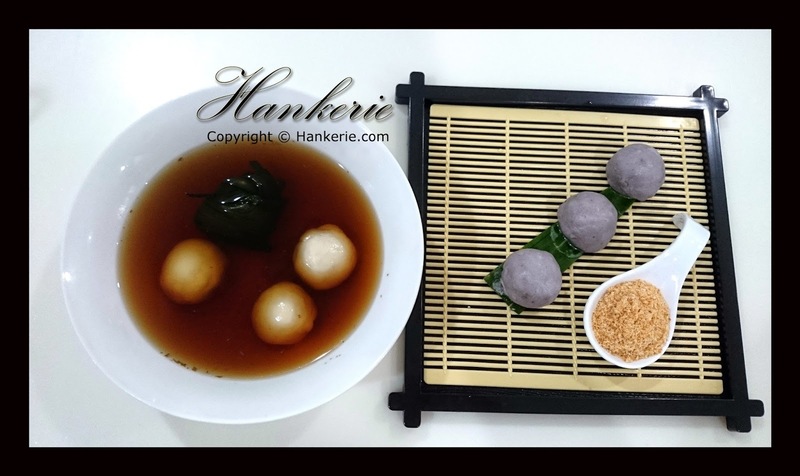 Believe me, you will feel more comfortable when eating these natural colour tang yuan rather than those colouring tang yuan. 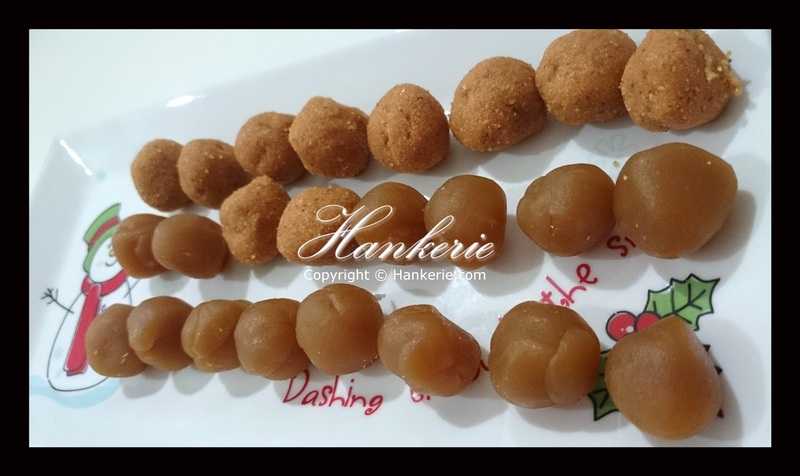 These filling are lotus paste. Step 1: Boil the water together with ginger and gula malacca. Step 2: After boiled, put the pandan leave. Set aside. Step 3: In separate bowl, mix all the ingredients of glutinous rice balls. Knead until combined together. Step 4: Separate the dough into two. 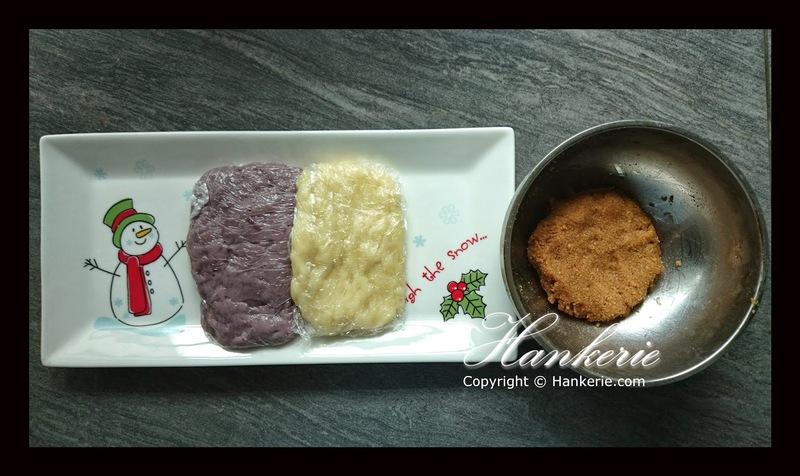 Use and filter natural food colour to mix both blue pea flower and raspberries, mix in one of the dough. Step 5: Roll the dough into 10-12g each. Wrap with cling fim, set aside. Step 6: Roll the filling into ball shape. Wrap them into the dough in step 5. 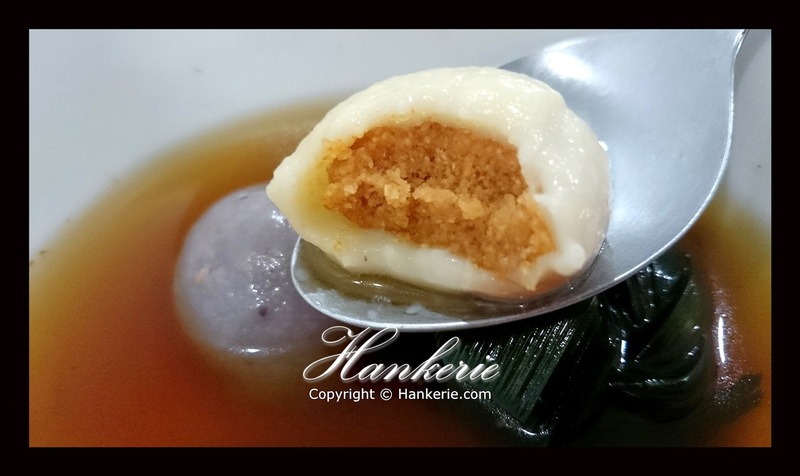 Step 7: Cook glutinous rice ball into syrup which prepared in step 2. 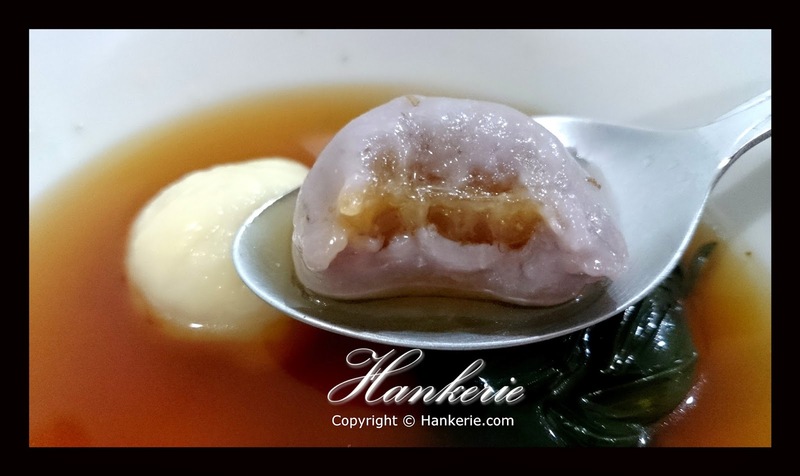 Cook until the rice ball float on top of the syrup broth and it is done. Step 8: Serve in the bowl.